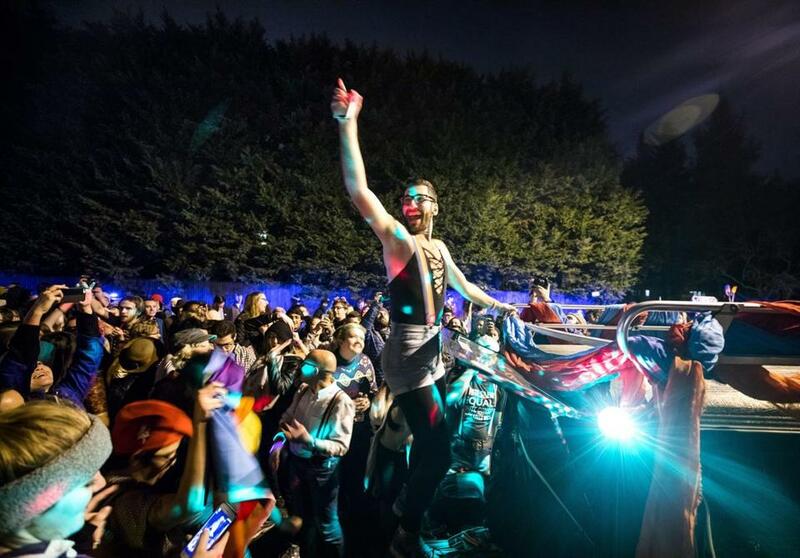 Supporters of LGTBQ rights elld a dance party in the middle of the street where Vice President-elect Mike Pence is temporarily renting a home before he moves to the Naval Observatory. 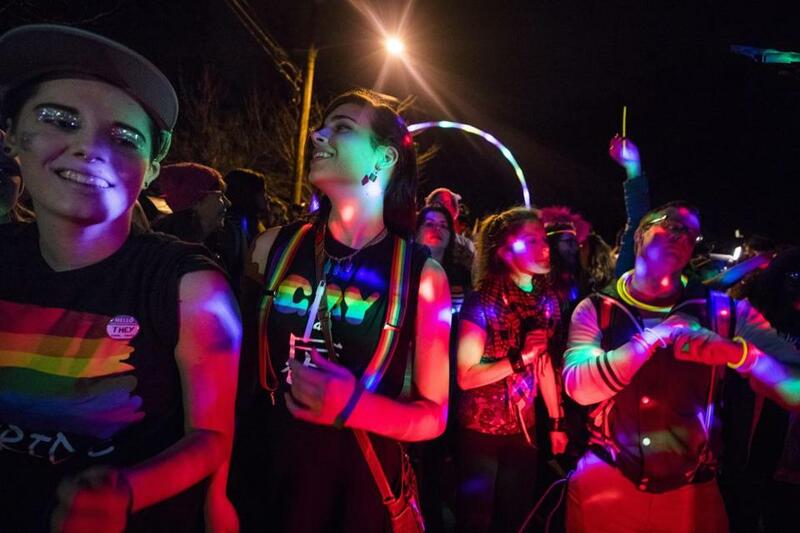 WASHINGTON (AP) — With glow sticks, hula hoops and rainbow flags, protesters took a dance party to the streets near the vice president-elect’s temporary home to oppose his positions on LGBT issues. 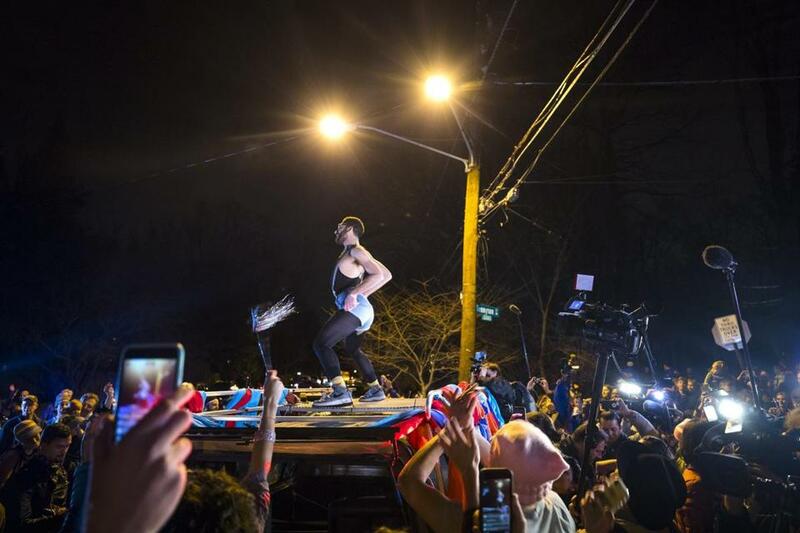 News outlets report that more than 100 people accompanied by a truck blasting music danced Wednesday night through the usually quiet Chevy Chase area of northwest Washington, where Mike Pence has been renting a home. 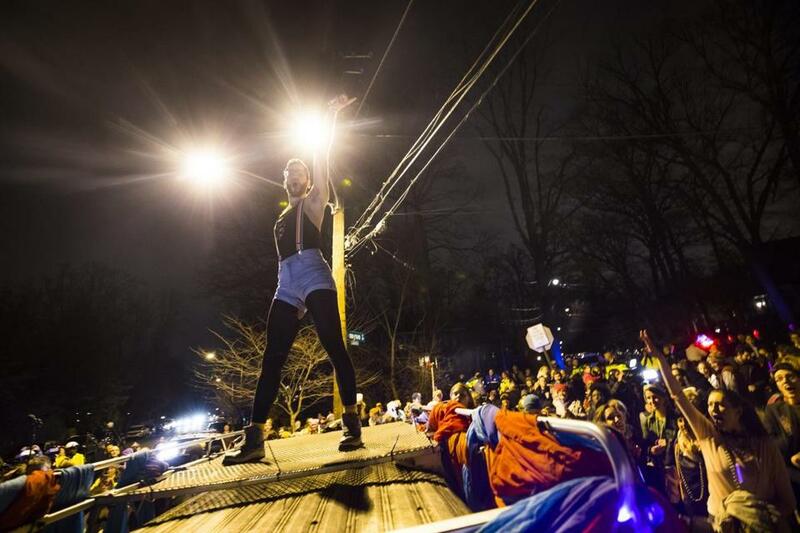 Disrupt J20, a collection of activist groups, and WERK For Peace, which formed after the Orlando nightclub shooting, organized what they called a ‘‘Queer Dance Party.’’ Activists have criticized Pence for signing a law as Indiana governor that they say could sanction discrimination against lesbian, gay, bisexual or transgender customers. The legislature later reversed course. The group found Pence’s street blocked. It wasn’t clear if he was home.